Ramadan El Sayed Abd Elwahed, Mahmoud Hussein El Kammar, Islam Reda Edrees. The search for natural compounds stimulate tissue repair is a target. The current experimental investigation evaluated the effectiveness of propolis compared with honey/cod liver oil mixture, Mebo and panthenol, for treatment of surgically induced full-thicknesses skin wounds in the back region in dogs. Clinical wound characters following propolis treatment proved good and showed marked reduction in wound dimension and formation of healthy scar. The quantification of observation concerning the histological parameters involved in wound healing indicated that the propolis treated wounds proved advantageous. It could be concluded that propolis accelerates wound healing and it is advisable to be used for wound dressing due to its clinical value and easy application. Key words: Propolis, Dogs, Wounds, Dressing, Healing, Histological evaluation. Bankova SL and De Castro MC (2000): Marcucci, Apidologie; 31: 3 â€“ 15. Bansal V, Medhi B and Pandhi P (2005): Honey a remedy rediscovered and its therapeutic utility. Kathmandu Univ Med J; 3 (3): 305 â€“ 09. Barber SM (2005): Molecular and cellular aspects of wound healing. The north American veterinary conference (2005) Proceedings. Burdock GA (1998): Review of the biological properties and toxicity of bee propolis. Food and Chemical Toxicology; 36: 347 â€“ 363. Castaldo S and Capasso F (2002): Propolis, an old remedy used in modern medicine. Fitoterapia 2002; 73: 1- 6. Coulombe PA (1997): Biophys. Res. Commun. 231-236. Cited by Sehn E, Hernandes L, Franco S.L, Goncalves CC and Baesso M.L (2009): Dynamics of re-epithelization and penetration rate of a bee propolis formulation during cutaneous wound healing. Analytical Chimica Acta; 635: 115 â€“ 120. Efem SE (1998): Clinical observation on the wound healing properties of honey. Br J Surg; 75: 679 â€“ 81. El-faramawi MM (2005): Wound management in equine by different techniques. M.V.Sc. Thesis, Vet. Surg. Faculty of Vet. Med., Alexandria University. Farouk A, Hassan T, Kashef H, Khalid SA, Mutawalia I and Wadi M (1998): Studies on Sudanese bee honey: laboratory and clinical evaluation. Int. J. Crude Drug Res; 26 (3):161 â€“ 169. Greenhalgh DG, Katherine H, Mark J and Russell R (1990): PDGF and FGF Stimulate Wound Healing in the Genetically Diabetic Mouse. American Journal of Pathology, Vol. 136, No. 6 :1235-1246. Gupta SK, Sing H, Varshney AC and Prakash P (1992): Therapeutic efficacy of honey in infected wound in buffaloes. Indian J. Anim. Sci; 62 (6): 521 â€“ 523. Lees MJ, Fretz PB, Bailey JV and Jacobs K (1989): Second intention wound healing. Comp. Cont .Educ. Pract. Vet. ; 11 (7): 857 â€“ 864. Marcucci MC (1995): Propolis: chemical composition, biological properties and therapeutic activity. Apidologie; 26: 83â€“89. Mathews KA and Binnington AG (2002): Wound management using honey. Comp. Cont. Educ. Pract. Vet. ; 24: 53 - 60. Meagher DM (1981): Wound management in horse. Proc. 2nd Annu. Con. Vet. ; Colorado State University. Molan PC (1998): A brief review of the use of honey as a clinical dressing. Aust. J. wound Management; 6 (4): 148 - 158. Ramsey DT, Pope ER and Swaim F (2005): Effect of three occlusive dressing materials on healing of full-thickness skin wound in dog. Am .J. Vet. Res. ; 56 (7): 941 - 949. Stadelmann WK, Digenis AG and Tobin GR (1998): Physiology and healing dynamics of chronic cutaneous wounds. Am. J. Surg. ; 176: 26S - 38S. Subrahmanyam M (1994): Honey impregnated gauze versus amniotic membrane in the treatment of burns. Burns; 20 (4): 331 - 33. Subrahmanyam M (1998): A prospective randomized clinical and histological study of superficial burn wound healing with honey and silver sulfadiazine. Burns; 24:157- 61. Wander P (1995): Taking the sting out of dentistry. Dental practice; 25: 3 - 4. Zhe M, Chen M, Shou Q and Hu F (2010): Biological Activities of Chinese propolis and Brazillian propolis on streptozotocin - induced type 1 Diabetes Mellitus in Rats. eCAM Advancess, published April 5, 2010. Ramadan El Sayed Abd Elwahed, Mahmoud Hussein El Kammar, Islam Reda Edrees. Surgical and Histological Evaluation of the Effectiveness of Propolis on Wound Healing. AJVS. 2013; 39(1): 52-63. Ramadan El Sayed Abd Elwahed, Mahmoud Hussein El Kammar, Islam Reda Edrees. Surgical and Histological Evaluation of the Effectiveness of Propolis on Wound Healing. http://www.alexjvs.com/?mno=43038 [Access: April 18, 2019]. Ramadan El Sayed Abd Elwahed, Mahmoud Hussein El Kammar, Islam Reda Edrees. Surgical and Histological Evaluation of the Effectiveness of Propolis on Wound Healing. AJVS. (2013), [cited April 18, 2019]; 39(1): 52-63. Ramadan El Sayed Abd Elwahed, Mahmoud Hussein El Kammar, Islam Reda Edrees (2013) Surgical and Histological Evaluation of the Effectiveness of Propolis on Wound Healing. AJVS, 39 (1), 52-63. Ramadan El Sayed Abd Elwahed, Mahmoud Hussein El Kammar, Islam Reda Edrees. 2013. Surgical and Histological Evaluation of the Effectiveness of Propolis on Wound Healing. Alexandria Journal of Veterinary Sciences, 39 (1), 52-63. Ramadan El Sayed Abd Elwahed, Mahmoud Hussein El Kammar, Islam Reda Edrees. "Surgical and Histological Evaluation of the Effectiveness of Propolis on Wound Healing." Alexandria Journal of Veterinary Sciences 39 (2013), 52-63. Ramadan El Sayed Abd Elwahed, Mahmoud Hussein El Kammar, Islam Reda Edrees. "Surgical and Histological Evaluation of the Effectiveness of Propolis on Wound Healing." 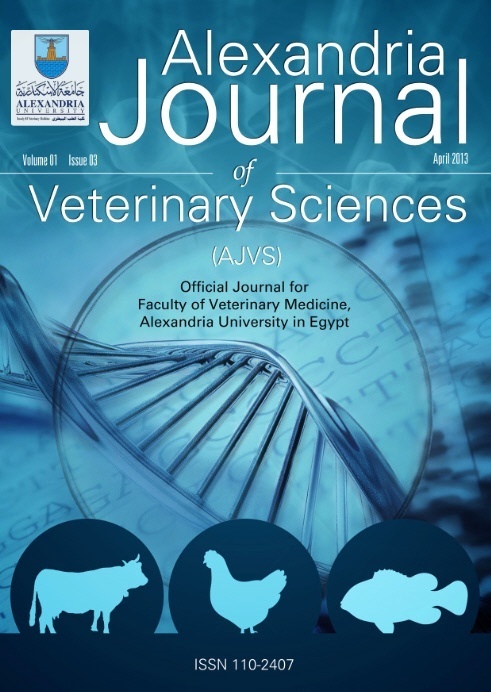 Alexandria Journal of Veterinary Sciences 39.1 (2013), 52-63. Print. Ramadan El Sayed Abd Elwahed, Mahmoud Hussein El Kammar, Islam Reda Edrees (2013) Surgical and Histological Evaluation of the Effectiveness of Propolis on Wound Healing. Alexandria Journal of Veterinary Sciences, 39 (1), 52-63.